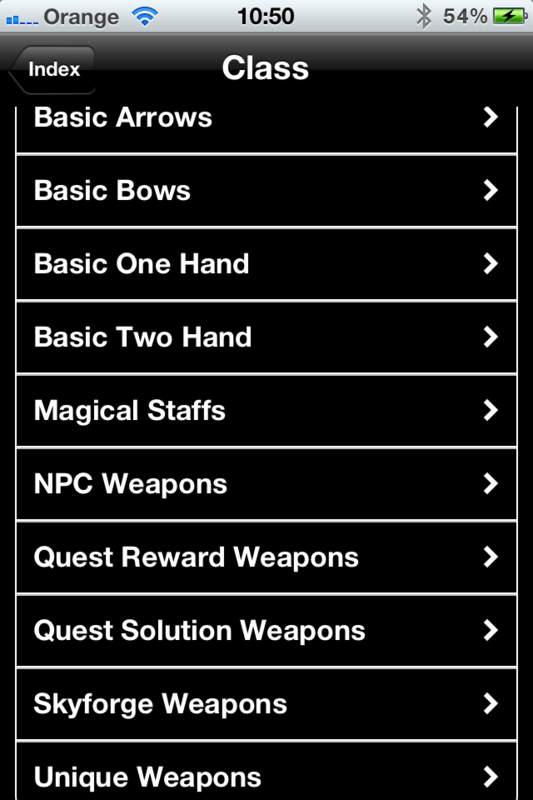 Skybird for iPhone / iPod contains every Sword, Staff, Mace, Dagger, Bow, Warhammer, War Axe and Unique or Dungeon Reward weapons. It utilises a simple-to-use, drill-down menu system to find the weapon you need, or want. It will give you statistics about that weapon, including base damage, weight and value. 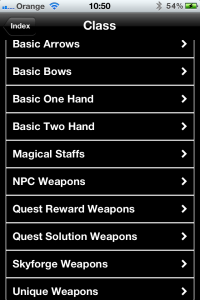 The iPad version contains even more information about each weapon. An invaluable reference for Skyrim warriors.